Abdellatif Adras is from Taroudant, the South of Morocco. He graduated from the University of Ibn Zohr in Agadir with a Bachelor's degree in Private Law in 2013 and also received a diploma in Coaching and Camping in 2014. Abdellatif worked as a photographer with the group "Green Fingers" and was also a facilitator and a member of an association called Coeur Elkhair. Previously, he participated in several community activities such as handicraft workshops, and lead and co-lead camps with OCP Foundation. Abdellatif loves adventure and traveling with friends. This is his second chance to be part of CorpsAfrica as he volunteered in Morocco in 2016 and now he is in Malawi to give all goods to his community. Smart Bandais from Mzimba, Malawi. He is a graduate of the University of Livingstonia, class of 2017, and holds a Bachelor of Science degree in Public Health. He served as a Students’ Union Publicity Secretary for University of Livingstonia, Laws Campus and he was also a member of UNILIA Public Health Society. Prior to CorpsAfrica, he did an internship at Rumphi District Hospital as a Public Health Officer for a year and also worked as a Research Assistant with a number of organizations. He is passionate about improving the health of people because he believes that the only way to eradicate extreme poverty and hunger in the country is by building a healthy Malawi first. The chance to work with CorpsAfrica is a great opportunity for him to make a direct positive impact on the health of people who are living in rural communities and are mostly sidelined from development. Smart believes that this will be a life-changing experience and he is excited to be part of it. Mphatso Chembekeza holds a Bachelors’ Degree in Arts Humanities majoring in English language acquired from Chancellor College, University of Malawi. He has worked with reputable international organizations, including the World Bank and Care International, under the communications department to foster the advancement of various developmental activities for the betterment of Malawians. With a vision of alleviating poverty of the mind through knowledge impartation, the greatest enemy to fulfillment of purpose, he has initiated seminars on girls' education and equipping students across Lilongwe on how to approach national examinations. Ideally aiming at improvement of education standards in Malawi, he took on the challenge of founding a secondary school in the remote area of Nsanje to provide quality education at an affordable rate to an underprivileged community in Malawi. He has also served as a teacher of English in adult literacy classes and various secondary schools in both the city and rural areas for over two years. David Chihana developed a passion for volunteering before graduating from college. He volunteered as a teacher with Majiga Community Day Secondary School in Nkhota-kota in 2015 before becoming an Intern with the Office of the Ombudsman in 2016. After graduation in 2017, David volunteered as a Secondary School teacher with Nkhunga Community Day Secondary School where he was teaching Social and Development Studies, Life Skills and History. He attended Phwezi Boys Secondary School and graduated with a Bachelor’s Degree in Political leadership from the Catholic University of Malawi before obtaining a Certificate in Project Management from the Staff Development Institute (Mpemba). Lessenia Chikho is a career-focused individual passionate about girl-child education and participatory development, which she believes is key to community development. She graduated from Chancellor College with a Bachelors of Social Science degree with a major in economics. She previously worked with Advancing Girls Education in Africa and CAMFED as a mentor and a role model to female secondary school students. She also worked as a secondary school teacher with Dedza CCAP Christian secondary school where she was the boarding mistress. In addition Lessenia has previously worked with National Statistics as an enumerator. “I am only one, but I am one. I cannot do everything, but I can do something.” Alinafe Chikombole chants the words of Edwards Everett Hale. Having just graduated from the Catholic University of Malawi with a Bachelor of Social Science majoring in Social work; minoring in Political Science Degree, Alinafe is passionate about helping those in need, one person at a time building towards the masses. She served for three years at Catholic University Youth Volunteer Scheme under the United Nations Volunteer program. Alinafe likewise has interned for the Women’s Legal Resources Center where some of her duties included facilitation of community meetings. Recently, she has taken up counselling and child protection duties under the Social Rehabilitation Center. Promise Trust Chiwalo is a young professional who is passionate about community development. He believes in the potential of rural communities to develop and attain independence when community members are engaged as active participants in development and not as passive recipients. He holds a Bachelor's degree in Agricultural Extension from Lilongwe University of Agriculture and Natural Resources. Prior to CorpsAfrica, he worked as a graduate intern at Agricultural Commodity Exchange for Africa in the programs department. During his college years he also worked as a part-time research assistant for World Vision. He loves reading good books, especially Christian classics, and he is rarely without a book. Promise believes that working for CorpsAfrica will help him to be an effective community development agent and will equip him with the necessary skills to make development sustainable in the rural communities of Malawi. Abderrazzak Elamim is originally from Casablanca and has a PHD in solar energy from Hassan II University. He has participated in many social and volunteering activities in his city. Rhoda Sheena Gangire graduated in 2018 with a Bachelor of Science in animal science from the Lilongwe University of Agriculture and Natural Resources LUANAR (Bunda Campus). She also holds of a diploma in animal health and livestock development, which she obtained from the Natural Resources College. Prior to Joining CorpsAfrica, Rhoda was a research assistant for various organizations. She believes the gate way of leading change in a community is through passion for selfless service and recognizing that you have a role to play in your society. She also was also involved in the Care for Girls campaign which aimed at keeping girls in school by encouraging them to work hard in school, menstrual hygiene education, and mentorship. Rhoda is from Lilongwe. Jailos Ghambi is from Chitipa district Malawi and holds a Bachelor’s degree in Public Health from University of Livingstonia. 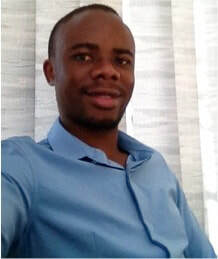 Prior to joining CorpsAfrica, he worked as an intern with several institutions both in the government and private sectors, with focus on research and other health-related issues such as Malaria Prevention, HIV Testing and Counselling, Maternal and Child Health (MCH), Sexual Reproductive Health (SRH), Nutrition and Food Utilization, Water Sanitation and Hygiene (WASH) and Health promotion. Jailos served as Research Assistant at Karonga Prevention Study from June 2016 to August 2017. He was also actively involved in volunteering soccer activities for health promotion during his days in Chitipa and was among the first people that found Lufita F.C that is actively participating in SIMSO Premier League in the north. Jailos has a passion for community development and believes CorpsAfrica is going to equip him with skills in project management for sustainable development. Chisomo Favour Kamlopa graduated with a Bachelor of Arts Degree in Leadership with Mass Communication from African Bible University of Uganda. Chisomo believes there’s a solution to every problem around the world, what matters is believing in your potential to bring out the solution and your willingness to be part of the change. She is passionate about working directly with communities, dealing with challenges that they face as a way of bringing development to their areas. Chisomo’s zeal for community project advocacy is what motivated her to pursue a degree in Mass Communications. She wants to be able to advocate for and implement as many rural community projects as she can, across Africa. Yes she will! She worked with the Parliament of Malawi as a Public Relations Assistant, Ministry of Information and Communications Technology as an Information Officer, Life Again Ministries as an Advocacy Officer, Mukono Urban Ministries as an Intern, Radio ABC Uganda as well as the National Youth Council of Malawi. Muliko Jane Kayira holds a Bachelor’s Degree in Business Administration from DMI - St John the Baptist University. She has worked as an intern at the Electricity Supply Corporation of Malawi (E.S.C.O.M.) and Mark Sprout Secure Finance Limited (MASSFIN). In her free time, Muliko volunteered at Inspirational Korner (IK), where she worked with secondary and college students to enhance their business skills and to ensure the environment is clean. In whatever Muliko does, she aims to serve to the best of her ability and to make a significant difference in people’s lives. She is a quick learner, self-motivated, an enthusiastic worker and easily adapts to new situations. Muliko’s goal is to make an impact and not just an impression. John Kumwenda reflects a varied personality including ambition, and the qualities of generosity and thoughtfulness. With the definitive goal of becoming a professional youth empowerment and development consultant, he received the Diploma in Gender and Development from the Lilongwe University of Agriculture and Natural Resources, Malawi, and the Business and Entrepreneurship Development Certificate by Young African Leaders Initiative (YALI). Currently, he is anticipating to finish his studies with Degree in Gender and Development studies. In 2017, John joined the Department of Education and Spiritual care support, Children of the Nations Malawi, as an Early Childhood and Gender Facilitator. Since December 2017, he had been working as an internee in Development and Resource Mobilization field in various Non-profit organizations including: Christian Health Association of Malawi, My Tsogolo Magazine, Hope for Cancer Foundation and many more. He was selected as a country ambassador for Youth Opportunities by YO Global Ambassadors program, USA, 2018. Billy Nelson Makombola has over three years as a social entrepreneur and civic leader. Currently, he is the founder and Director of a local youth-led organization known as Blantyre Youth Group, which was established to enhance youth participation in development initiatives. Through this organization, he established a scholarship initiative called ‘Tigwirane Manja’ which aims at sourcing school fees for needy students in community secondary schools. So far, 18 students are currently benefiting from this initiative. He is also facilitating the organization’s social enterprise known as ‘Hygiene Waste Solutions’ that collects garbage from households in Chirimba community and dumps it at an authorized dumping site to improve a healthy environment in the peri-urban community as well as helping to achieve the Sustainable Development Goal number 6 (promoting clean water and sanitation). Billy also volunteered as a Secretary for Likhubula Network for CBOs which has over ten Community Based Organizations. He holds a Diploma in Journalism and Media studies and has worked at Malawi Broadcasting Corporation (MBC radio) as a Producer on a voluntary basis. In addition, he has worked as a Field Supervisor at Dovetales Marketing Agency. Billy is a Young African Leaders Initiative for Southern Africa (YALI SA) alumna and has a certificate in Civic Leadership. “We should make use of the period we stay on earth in trying to transform our communities/country the way we would like them to be,” a quote by the late Nelson Mandela inspired Billy to join CorpsAfrica and utilize his skills towards improving the life standards of people and local communities they live in. Funny Maseya graduated from Africa bible University. She holds a Bachelor’s degree in Christian Community Leadership with a focus in Business Administration. She has a passion for helping her community in all possible ways. She once worked with Good Neighbors International as a Youth facilitator where she taught girls from rural communities life skills and empowered them to know their rights. She also worked with Children Alive Ministry (CALM) of Uganda as an intern where she taught students life skills, music, dance, and English lessons. Immediately after her graduation, she volunteered to work with Ladder to Learning (formerly known as Makwelero Youth Organisation) as tutor and program assistant. Recently, she worked with Malawi Electoral Commission as a registration Officer and registered people in rural and urban areas. Her dream is to bring hope to the people who actually live in rural areas by providing simple solutions to the problems and challenges that they face every day. She also hopes to reach out to youth and form a club where education awareness will be a topic of the day. She believes CorpsAfrica has given her an opportunity to fulfill her dream, which involves getting associated with people with socially diverse backgrounds. Zione Maweru is a graduate of African Bible College class of 2018. She holds a Bachelor’s degree in community development. She has a passion for helping people who are less privileged and using her knowledge to bring a positive impact on people’s lives. To achieve her goal of helping, she volunteered with Live Love ministry, Hope Ministry and an internship with 2ndMilk organization. She prays that God will help her in achieving her goals of helping people all around the world. Dalitso Mndala is passionate about serving others and finds joy in helping people improve their quality of life, especially those in the rural areas. Dalitso holds a Bachelor of Arts degree in Community Development from African Bible College, from which he graduated in June 2018. After graduation, he worked as an intern with Ruth Shawl, a Christian organization also involved in adult literacy in Ntchisi. While in college, Dalitso interned with Evangelical Association of Malawi (EAM) on the Integrated Watershed Management project in Neno. He was also an intern with ACADES Malawi, an organization working on youth development through agribusiness. During his four years of college, Dalitso volunteered with Ministry of Hope and Life to Life Ministries where he encouraged and mentored the youth in secondary schools and villages. Peter Mndalasini is from Lilongwe City, Malawi. A holder of Bachelor of Science in Public Policy obtained from the University of Livingstonia, Laws Campus in 2017. He is passionate about Sustainable Development Goals and worked as a Volunteer with the High Court of Malawi, Lilongwe District Registry. He is also a former Environmental Health Officer Intern at Kasungu District Hospital. In 2017, he worked with Mineral and Appropriate Technology Applicable in Malawi (MATAMA) as an Intern. Peter is a member of International Youth Alliance for Family Planning (IYAFP), a network of passionate youth sharing resources and spreading information on family planning issues. Apart from that, he is an Ambassador for Fika Africa Advocacy Foundation, an International organization that works with young people who are passionate about creating solutions for Africa and building a transformed Africa. He is also a member of Leap Girl Africa, a network of people from all races working collaboratively against gender-based violence. Peter served as a Sanitation Prefect and Treasurer for SCOM from 2010 to 2011 at Chipasula Secondary School. Working with CorpsAfrica is a great opportunity for young graduates and he does not take this opportunity for granted. Duncan Mzengereza grew up in Blantyre but is originally is from the southern district of Mulanje. He attended Phwezi Secondary schools and he graduated in June 2012. He then enrolled in Lilongwe University of Agriculture and Natural Resources (LUANAR) in 2013, where he did a Bachelors of Science in Human Nutrition and Food Science. As they say that no man is an island, Duncan worked as a volunteer for International Citizen Service ( ICS) in September 2017, because he has always believed that the world could be far better if we could all dedicate our available resources, including time and energy, to help the less privileged. He believes in being part of a team of people working with others to help people who may not be able to help themselves. Duncan feels that volunteering creates a feeling of being part of something bigger than oneself. In September 2016, while on holiday from the University, Duncan worked for the department of public health of Mulanje District Health Office as Nutrition Oficer under the program of Community Management of Acute Malnutrition (CMAM). Before joining CorpsAfrica, Duncan had been working as a Clinical Aide for Lighthouse Trust at Queen Elizabeth Central Hospital, Umodzi Family Center. Blessings Ngwira is from Lilongwe, Malawi. He graduated with a Bachelor of Arts in International Relations from Lobachevsky State University of Nizhny Novgorod (in Russia) in July 2017. He worked as an intern at TEKOM Group as a Partner Account Manager, a telecommunications and broadcasting company in Russia. Blessings has also interned for a local NGO, Facilitators of Community Transformation (FACT). Having taken part in the Duke of Edinburgh Award, Blessings has always been interested in community development and joining CorpsAfrica as a volunteer takes him on the road toward his passion of helping communities in need. Inspired by the CorpsAfrica alumni, Leah Nyirenda believes every young adult has a vital role in contributing to the development of Malawi, especially in the rural areas, in any aspect. She holds a Bachelor's in Business Communication from University of Malawi, The Polytechnic. Her recent work involvement was with PSI Malawi where she served as a social and behavioral change communication intern for Youth Alert! Mix project. With the required skills and her passion to leave a positive mark in a rural community, she's all geared up to start her volunteering journey and be an inspiration to other youth. Naomie Nyirenda graduated from African Bible University Uganda with a Bachelor’s Degree in Mass Communication. During her academic years in Uganda, she worked with Radio ABC as a Programs Researcher and Presenter. After her tertiary studies she interned with the Ministry of Information and Communications Technology as an Online Editor and Press Briefing Coordinator for various government platforms. She is also a passionate art entrepreneur. She co-founded the Craft House, which is an interior décor and events management company. Echoing the belief of Josephy Murphy, that “a successful man is not selfish. His main desire in life is to serve humanity’’ she volunteered as a language tutor with Ladders to Learning (Makwerero), a youth organisation that focuses on embedding a reading culture in primary learners. From Chitipa district, Northern Malawi, Redson Nyondo is a Bunda College graduate (formerly University of Malawi) holding a Bachelor of Science in Aquaculture and Fisheries. Since 2013, Redson has accrued experience and skills in project management with expertise in conservation agriculture, garlic and ginger farming, poultry production, marketing linkages and Village Savings and Loans. He served in several organizations, with his longest at Japan Overseas Cooperative Association (JOCA) from 2014 to 2017 as a Field Officer in a project aimed at supporting farmers in Mzimba attain better livelihoods and self-reliance. He co-founded Functional Landscape Action Malawi, a local NGO in Mzimba that is an associate of Wetland Action, a Europe based network of practitioners and academics interested in the sustainable use of wetlands. He also worked with World Vision Malawi as a Development Facilitator and Research Assistant and at Catholic Relief Services as an enumerator. In addition, he has interned at One Acre Fund Malawi and Blantyre Synod Health and Development Commission. Chimwemwe Nzima holds a BA in Biblical Studies with Education obtained from African Bible University of Uganda. While at campus, she was a Secretary for the student cabinet and ladies hostel representative. She was also the Chairperson for Wakisa Ministries, an ministry that reaches out to young mothers who have been abandoned from their home. In addition, she holds a Certificate in Financial Accounting (ICAM) and has served as an accounts assistant for Mwatibu Teachers SACCO. Chimwemwe also holds a T2 Teaching Certificate and has served with the Malawi Ministry of Education as a Primary School Teacher where she was privileged to serve as a senior section head during her service. She has been serving with Ungweru Organisation in Mzuzu on a voluntary basis as an Instructor in computer and marketing to youth who are done with their secondary education. She is a YALI (Young African Leaders Initiative) alumni and believes in servant leadership. Passionate about serving the community, Chimwemwe is excited to serve with CorpsAfrica as this is another opportunity for her to impact the rural community. Chifundo Anna Soko holds a Bachelor’s degree in Nutrition and Food Science from the Lilongwe University of Agriculture and Natural Resources (Bunda campus) in the year 2016. Before joining CorpsAfrica, Chifundo was a Secretary for the Bunda Christian student organisation known as United Christian Congregation for one year while she was a student. She has a passion to serve and help others with the skills that she possesses. She also Volunteered at Queens Central Hospital for quite some after graduating in 2016. Chifundo recently worked with the Department of Human Nutrition at Bunda College as a Research Assistant on a non-paid internship. She took the opportunity because she believes one does not need to stop learning to become an expert in whatever field that one is in so as to richly render good service to others. She believes Malawi just needs a few patriotic individuals to develop, and she wants to be such an individual. Chifundo is passionate about her country. 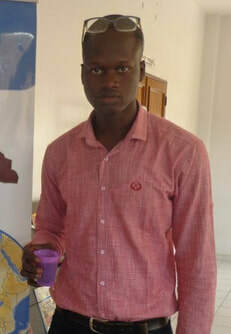 Gorgui Ba Toure, a Senegalese from Passy Ngayene, Kaolack, is serving as an Exchange Volunteer in Malawi. He is active in social change and community development. Gorgui Ba (as his nickname) is part of a generation with an inherent sense of self. One who is inspired not only to talk about what needs to be changed but to get up and change it. Social change and civic engagement are vital necessities for all communities in their development processes. He is the founder of CHANGE, which is a civic association whose goal is to work for a better involvement of young people in the development processes of their communities through innovation, creativity, civic engagement and citizenship. CHANGE wants to inspire and empower young people to change their world. He is the general secretary of the Online Discussion Group (ODG) of Passy Ngayene. ODG is a partner of CHANGE, active in fundraising and partner research for financing local development projects. As a changemaker, he is the community relay of the National Domestic Biogas Program of Senegal (PNB-SN) in Passy Ngayene. This program provides rural households with bio-digesters for recycling organic waste into energy for cooking and lighting and into organic fertilizer for soil fertilization. PNB-SN is funded by the European Union and the State of Senegal and aims to tackle the destruction of the environment and climate change and contributes to improve the framework and living conditions of populations in rural areas. His skills in monitoring and project evaluation have made him a back office manager at West African Oils. At university, he was a member and co-founder of the Great Ideological Revolution for Student Satisfaction. He did his master's thesis internship at the International Cooperation Center for Agronomic Research and Development (CIRAD, Dakar) on the proposal of methods for the management of polyvalent organic wastes in order to optimize their valorization. He holds Masters 2 in Sustainable Management of Horticultural Agroecosystems. He was the coordinator of the citizen movement of Passy Ngayene and for this occasion he had organized awareness programs on education, the early marriage of girls and the promotion of science education.